Hypertension, or simple high blood pressure, is a common condition that afflicts many people. The incidence rises with age and is increasingly common with an ageing population. Hypertension is diagnosed when a patient has two separate readings of blood pressure (BP) >140/90 mmHg. Some patients experience high BP when in the doctor’s office whereas their BP is ‘normal’ at home. This condition is termed ‘white coat’ hypertension and can be picked up with a 24-hour ambulatory blood pressure monitoring (a small portable device easily available in a cardiologist’s office). Although this condition usually does not require treatment, there is some evidence that is it not as benign as previously thought, and close monitoring of the patient’s BP would be required. Hypertension has no symptoms in the vast majority of patients. In rare cases, very high blood pressure can result in headaches (although most headaches are unrelated to the patient’s BP), shortness of breath and blurred vision. In most people, however, it is a ‘silent killer’. Long standing poorly controlled hypertension increases the stiffness of the blood vessels and causes damage to many organs. The heart has to pump harder against the higher presuure, placing greater stress on the heart muscles. Patients with hypertension are at increased risk of stroke, heart attack, heart failure, kidney damage and aortic aneurysm (enlargement of the aorta) that can lead to fatal rupture. This makes it important to detect and treat patients, especially younger patients, to reduce the risk of such events. Even very elderly patients (>80 years old) benefit from treatment of hypertension as they experience less stroke and adverse cardiac events. Thus, treatment of hypertension would be beneficial in virtually all patients, regardless of age. In the vast majority of patients with hypertension, no specific cause can be found (this is medically termed ‘essential’ hypertension). Usually many factors contribute to hypertension in such patients, including genetics (family history), lifestyle (sedentary lifestyle), stress (high stress environment), high salt diet etc. In a few patients (usually the very young patients <35 years), an underlying disease may be the cause of hypertension. In this age group, investigations, including blood and urine tests, are performed to rule out an underlying disease. In older patients, particularly those >65 years, the commonest underlying cause, if any, is the narrowing of the blood vessel supplying the kidneys. In these rare cases, treatment of the underlying disease may ‘cure’ the patient of hypertension. Most patients with hypertension can satisfactorily control their BP with lifestyle modifications and drug therapy. A low salt diet, regular exercise, weight loss and reduced stress can lead to a lower BP. These may help patients with mild hypertension. However, as it is unlikely that BP would be reduced by more than 10mmHg on average even with these measures, most patients will still require some drug therapy. There are four major classes of drugs available to treat hypertension and a variety of combinations could be used. In elderly patients, a thiazide diuretic (salt and water loss promoting drug) and a calcium channel blocker seem to be particularly effective in treating hypertension and also help reduce the risk of stroke. The ideal combination of drugs is best left to your primary physician as he/she will take into account other risk factors or presence of other diseases. 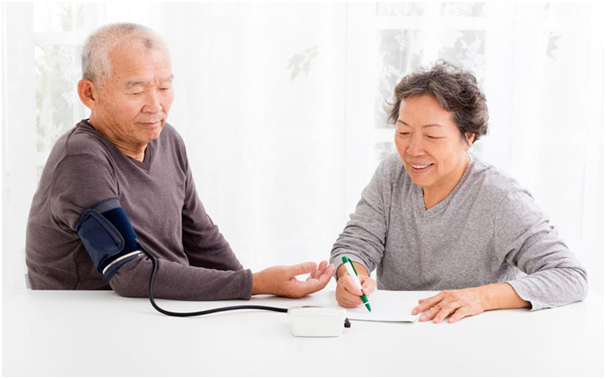 Recent guidelines from the American Joint National Committee on hypertension have recommended treating the elderly (>60 years old) to target BP of <150/90mmHg. In the younger patient, the goal is <140/90mmHg. The easiest way to detect hypertension is to go for regular screening with your physician. A simple office BP measurement is useful. In borderline cases, a more specialised 24-hour BP monitoring with a portable non-invasive device can be performed. Early detection and treatment can help to prevent many of the complications associated with hypertension. A healthy lifestyle (exercise, low salt fiet, maintaining an ideal weight, avoidance of prolonged stress, not smoking etc.) may reduce the likelihood of developing hypertension. If in doubt, see a doctor for a simple screen. This screen may ultimately save you from a more severe complication down the road.